A Russian Proton-M rocket carrying three GLONASS navigation satellites crashed soon after takeoff from Kazakhstan’s Baikonur cosmodrome. Seventeen seconds after takeoff, the rocket swerved to one side, tried to correct itself, but instead veered in the opposite direction. It then flew horizontally and started to come apart with its engines in full thrust. The crash was broadcast live across the country and fears of a possible toxic fuel leak immediately surfaced following the incident. While no such leak has been confirmed, the rocket was initially carrying over 600 tons of toxic propellants. Worries of a toxic cloud forming over the city of Baikonur and its nearly 100,000 nearby residents were blown away after heavy rains scattered the fumes. As a safety precaution, local authorities have asked people to stay indoors and avoid using air conditioners. The accident did not cause any catastrophic damage to the environment, according to Russian Vice-Premier Dmitry Rogozin. “We hope that no serious environmental damage was actually caused,” he told journalists. The most poisonous substance, heptyl, used in first phase rocket engines, “burnt in the first seconds of the mishap,"
Rogozin said, as cited by Interfax. A hydrogen nitrate cloud could pose the main threat to the environment, but it did not spread too far because of rain, the official added. The deputy minister vowed that the “most harsh conclusions” will be drawn from the accident and “they won’t be limited to simply finding those responsible” for the crash. “We cannot move further if the Russian space and rocket industry stays as it is,” Rogozin emphasized. Earlier in the day, President Vladimir Putin set up a commission for reforming the industry and appointed Rogozin its chairman. An accident board headed by Aleksandr Lopatin, deputy head of Russia’s space agency Roskosmos, has been created to investigate the crash. 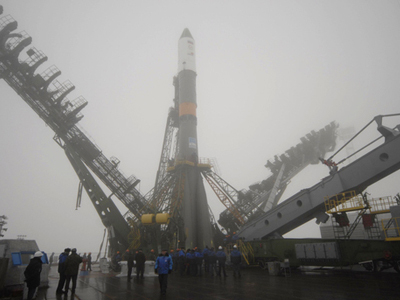 Further Proton-M launches have been suspended until the end of the investigation. Human factor or engine failure? Experts point to engine failure as the likely cause of the crash. "It's either the control system or the engine that has caused the accident. If the accident occurred in the first 10 to 20 seconds, than the engine is likely to be the cause," a source in the space agency told RIA. An Interfax-Kazakhstan source at the cosmodrome said the rocket was out of control from the moment it took off from the launch pad. “In line with its program, once a malfunction was detected, the rocket boosted to take itself away from the launch pad and fell about one kilometer from it,” the source said, adding that initial telemetry data suggests that the problem occurred in one of the stability guidance jet engines. A source in Russia’s space industry believes it is people, rather than technical reasons to be blamed for the crash. “This is a well-known rocket, and the reason for the crash is the human factor and a production failure,” the source told RIA Novosti. 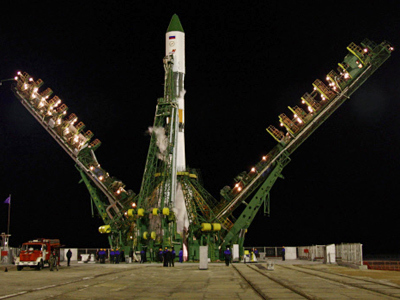 “We’ve had similar accidents at Baikonur before. After the area is cleaned up, launches will resume – in two to three months,” the source continued. Igor Marinin, Editor-in-Chief of Russia’s Cosmonautics News magazine told RT that there have not been any rocket crashes during the first seconds of flight for at least ten years in the Russian space industry. “This is a phenomenal accident,” he said. The crashed Proton-M rocket employed a DM-03 booster, which was being used for the first time since December 2010, when another Proton-M rocket with the same booster failed to deliver yet another three GLONASS satellites into orbit, crashing into the Pacific Ocean some 1,500 kilometers from Honolulu. After the 2010 crash, the investigative commission concluded that technicians miscalculated the amount of fuel needed for the DM-3 rocket booster. 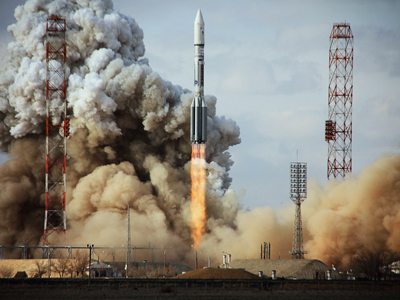 Tuesday’s incident was the fifth launch of a Proton-M rocket in 2013 and the 388th overall launch of a Proton rocket. The next Proton-M launch was scheduled for July 21. It was supposed to deliver a commercial ASTRA 2E broadcast satellite for Europe into orbit. GLONASS is a network of Russian navigation satellites designed to ensure global positioning, and is viewed as a direct rival to the American Global Positioning System (GPS). Its worldwide operation requires 24 working satellites. There are currently 28 GLONASS satellites in orbit, 23 of which are in operation, four in reserve and one next generation GLONASS-K satellite undergoing tests. By 2020 Russia intends to spend over 300 billion rubles ($9 billion) on Glonass. 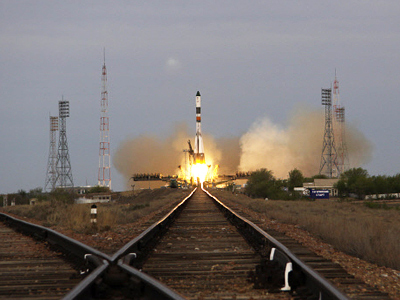 Russia has already conducted 15 launches from Baikonur and Plesetsk cosmodromes in 2013 and 23 more launches are expected to be made by the end of the year. The Russian space industry has suffered from a series of launch failures over the last several years. 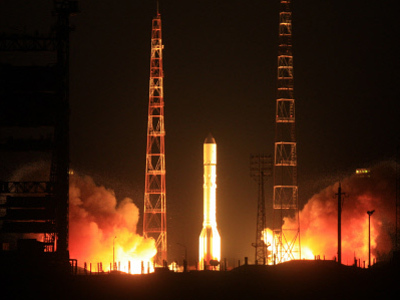 On December 5, 2010 a Proton-M rocket with a DM-03 booster failed to deliver three GLONASS-M satellites into orbit. In February 2011 a Geo-IK-2 geodesic satellite with military applications was lost after a Briz-KM booster unsuccessfully delivered the satellite into orbit. On August 2011 a Proton-M rocket with a Briz-M booster and Express-AM4 satellite aboard lost communication with the control center. On August 24 a Soyuz-U rocket carrying a Progress M-12M spaceship as cargo launched from Baikonur but did not reach orbit after failing in the first stage. On November 9 a Zenith rocket launched from Baikonur delivered into orbit for the first time in 30 years Russia’s Mars probe Fobos-Grunt. But the probe’s engines failed to start in time and it subsequently plummeted back to Earth, partially burning in the atmosphere. In December 2011 a launch of a Meridian military telecommunication satellite from Plesetsk cosmodrome was reportedly unsuccessful due to engine failure. 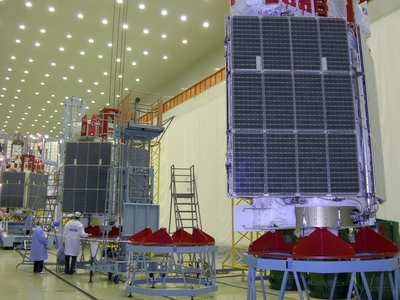 On August 6, 2012, the launch of a Proton-M rocket with a Briz-M booster failed to deliver two communication satellites – Russian Express-MD and Indonesian Telkom-3 – into orbit. Officially the booster failed to perform the fourth crucial thrust. 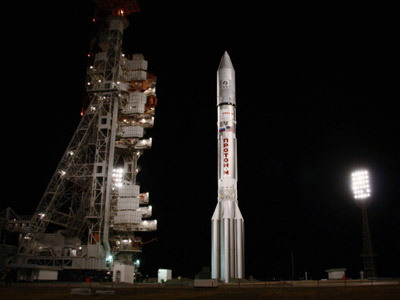 On December 8, 2012 another Proton-M rocket with a Briz-M booster delivered a Yamal-402 communication satellite to off-nominal orbit – again due to a Briz-M booster failure. But later the satellite reached the desired orbit using its own orbit correction engine. 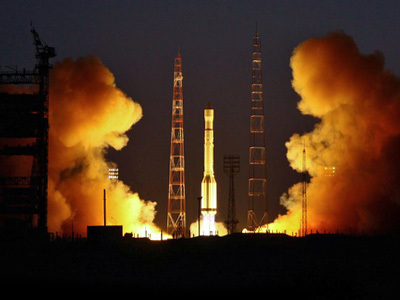 With Tuesday’s Proton-M failure, three accidents have already beset Russia’s space industry in 2013. On January 15 the secret launch of a rocket from Plesetsk cosmodrome partially failed as three military Strela-3M communication satellites were delivered to non-nominal orbits. The military later reported that all the satellites we taken under control and functioned properly. The media however, said that only two of them were ultimately brought under control. On February 1 a Zenith-3SL rocket – a joint project between the Russian and Ukrainian space agencies – with an Intelsat-27 communication satellite failed to reach orbit. Launched from the Odyssey platform, which belongs to the international Sea Launch program, the rocket fell into the Pacific some 30 seconds after takeoff. 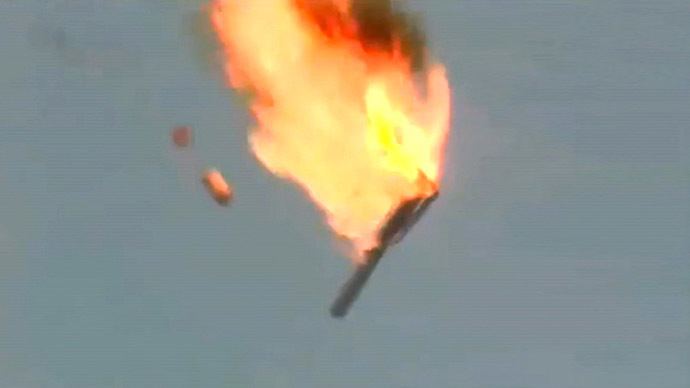 The crash was caused by a malfunction of the first stage of the Zenith rocket, which was designed and built in Ukraine.